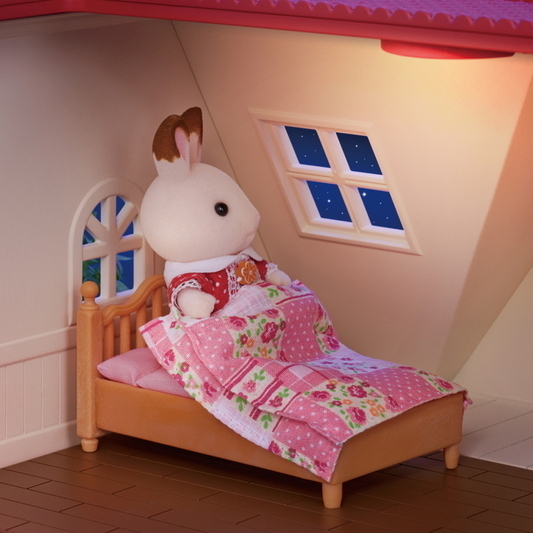 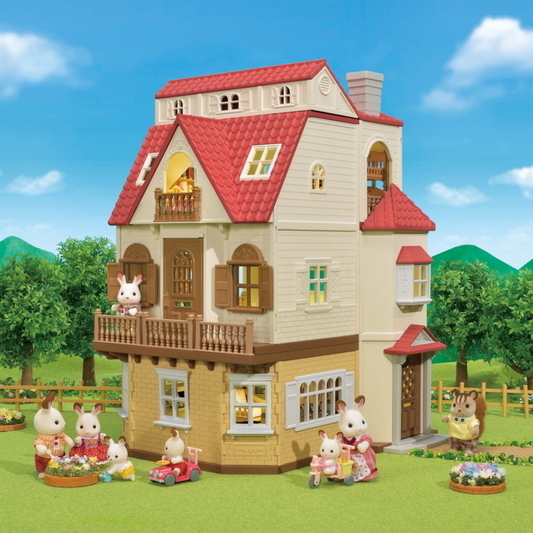 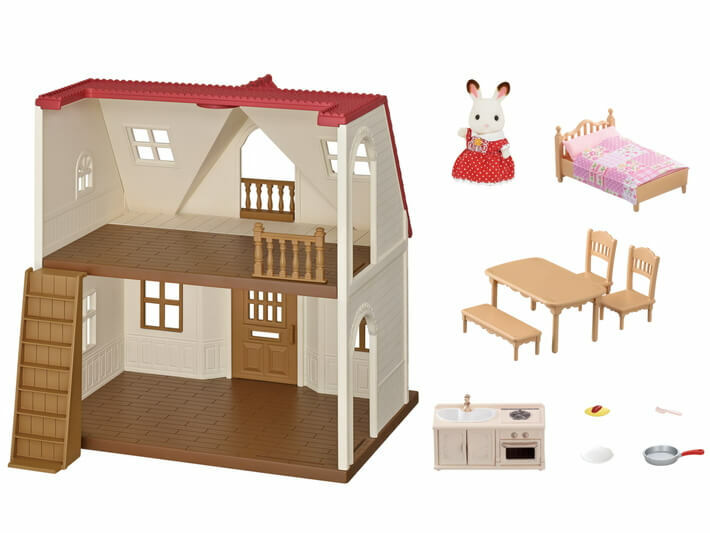 Red Roof Cosy Cottage is the perfect choice for those starting out with Sylvanian Families! 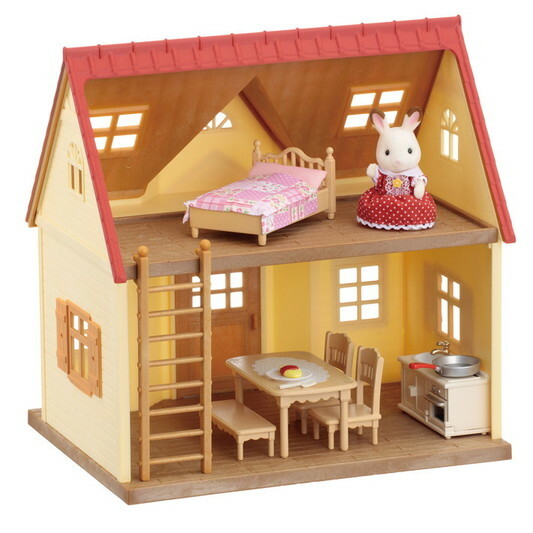 This all-in-one set includes a two-storey house, figure (Chocolate Rabbit Girl) and furniture. 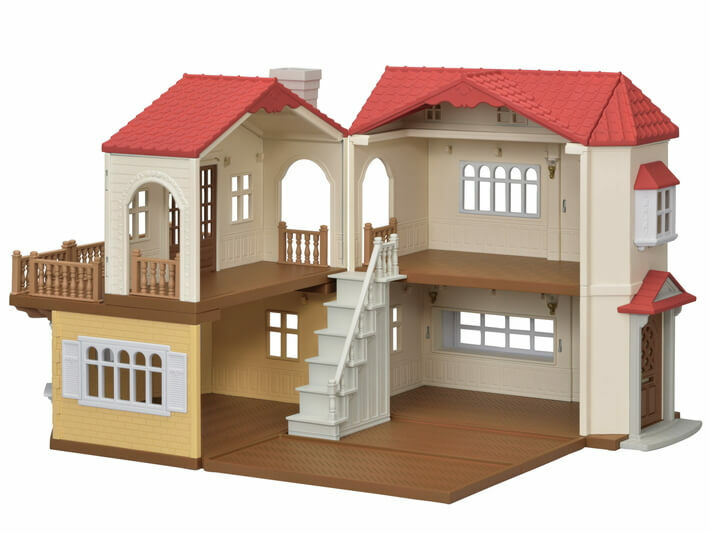 Red Roof Cosy Cottage features a removable second storey floor that can be placed alongside the ground floor to create a wider space that is easier to play with. 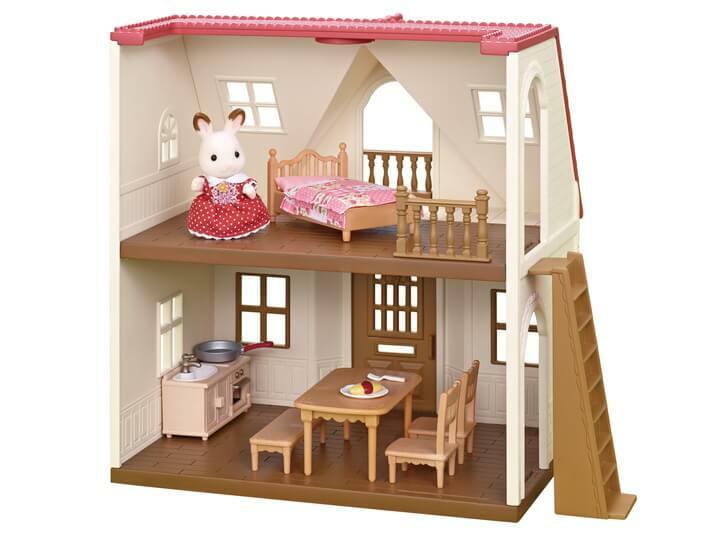 The stairs come as a standalone unit and can be placed in any desired location. 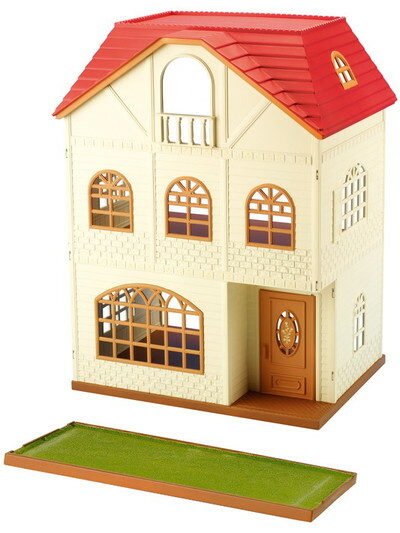 Windows come equipped with shutters that can be opened and closed during play. 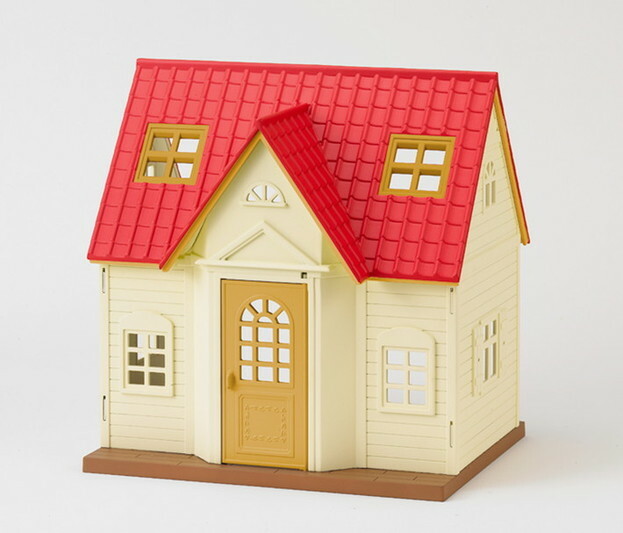 Connect to Red Roof Country Home to create a large, three-storey house (sold separately). 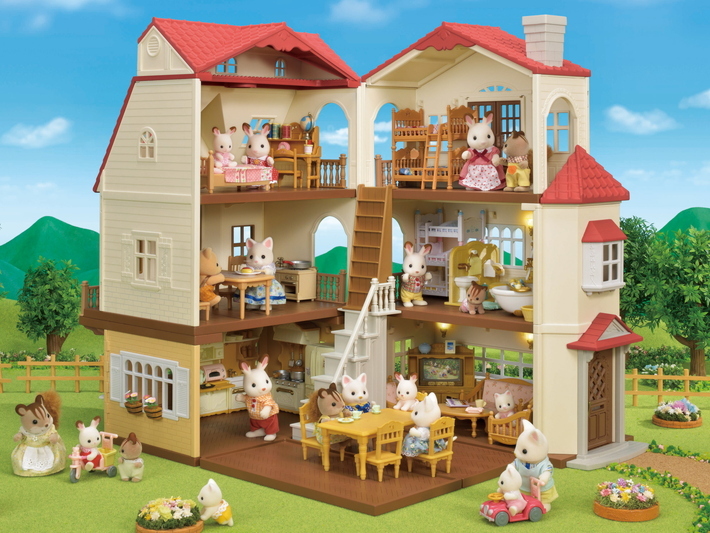 Have an even more enjoyable experience playing with additional figures and furniture (sold separately). 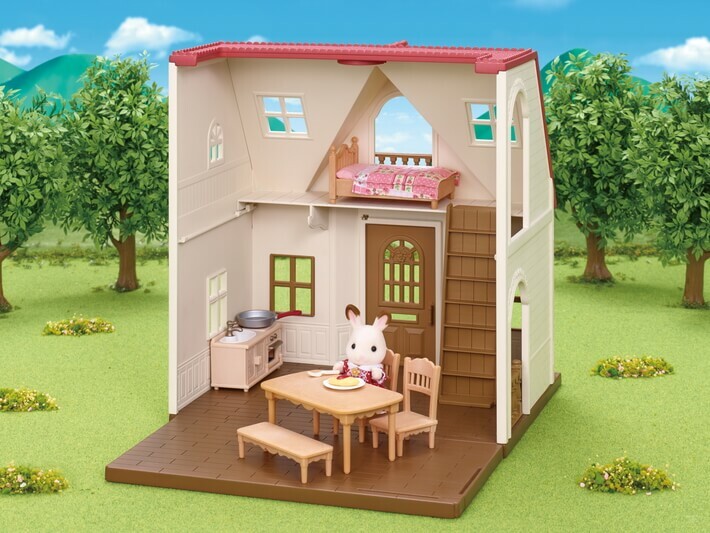 Place the kitchen and chairs into the Family Seven Seater to turn it into a camper van (sold separately). 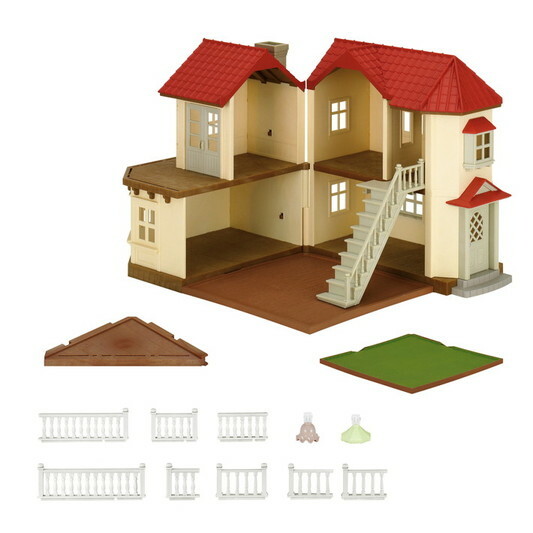 Play with Red Roof Cosy Cottage alongside various other homes and shops (sold separately). 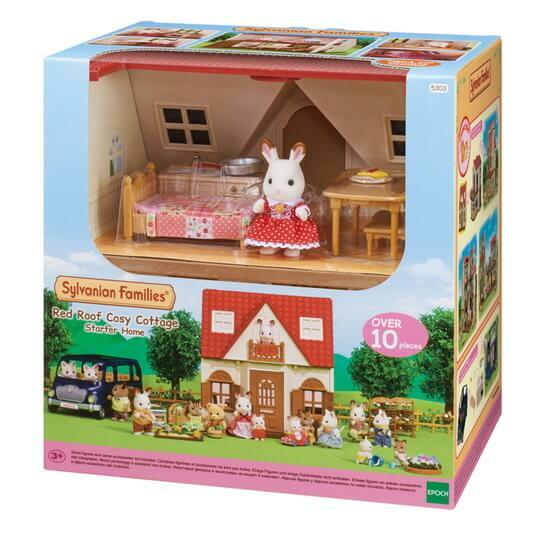 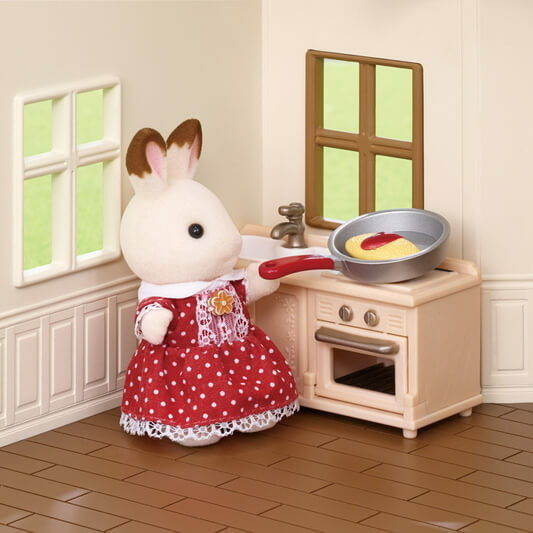 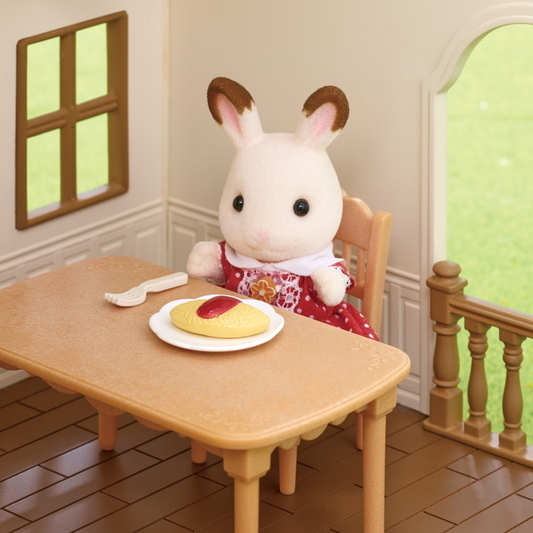 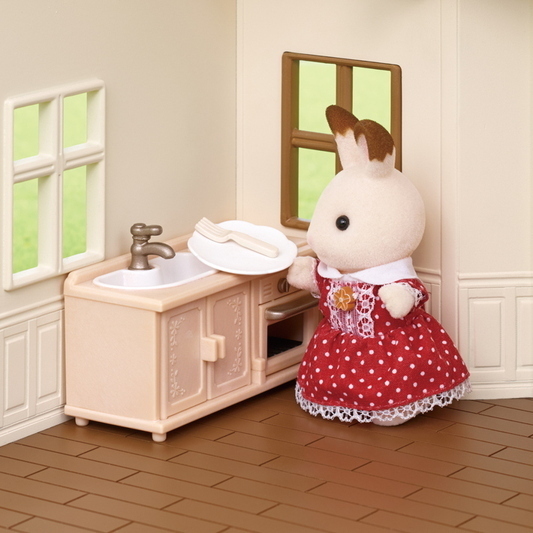 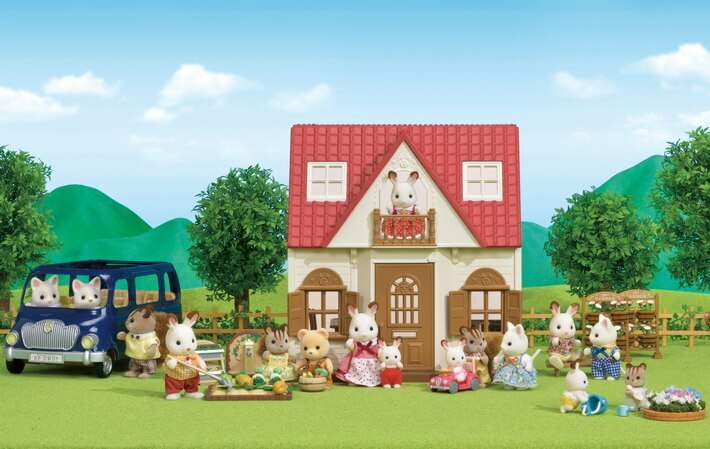 *This is the perfect choice for those starting out with Sylvanian Families! 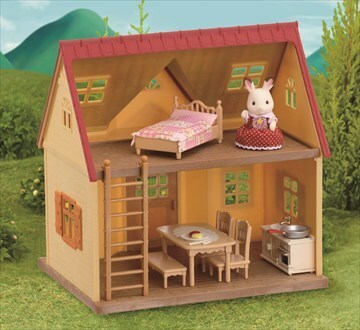 *This set includes a red-roofed 2-storey house, Chocolate Rabbit Girl, and special furniture items and accessories which you can start playing with as soon as possible.